Website Design is growing at such a rapid pace it’s hard to keep up with all the newest in WordPress Templates. We’ve pulled the latest templates from the WordPress database and compiled a list so you don’t have to sift through the masses of options. More features are being added to free templates and packed to be close to a premium style design. If you’re in creative or corporate business any of these templates can be adapted to your needs. Each are flexible in design so you can create a custom website. You can configure these designs with no knowledge of coding, that’s what makes WordPress the best CMS platform out there. Some notable features consistent across these designs are translation ready, post sliders, portfolio grid layout, and newsletter sign ups. Easily translated across all devices setting up a responsive website has never been so easy. Each template is unique with footer and sidebar layout flexibility. 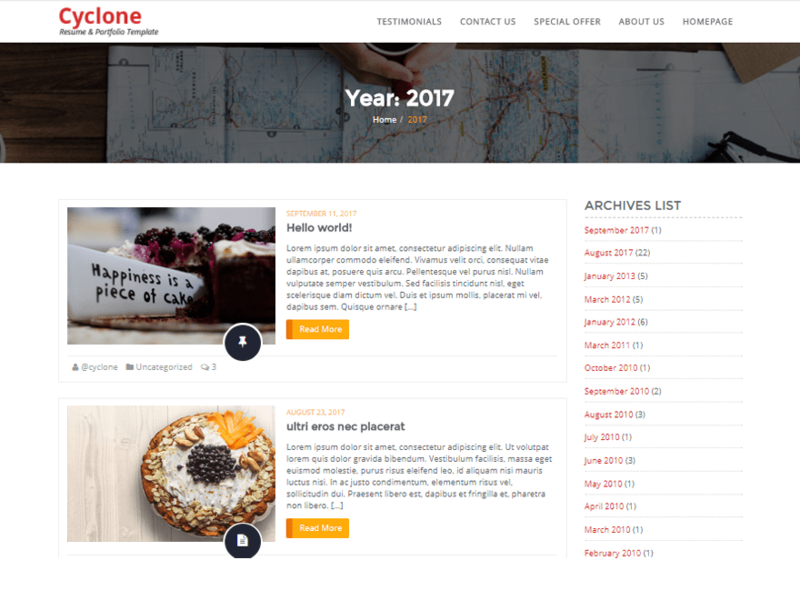 This weeks list is for everyone, 10 Free Newest WordPress Themes 2017. If we’ve missed let us know either in the comments or send us a message. Thanks for reading and hope you find something you like. FashionPoint is child theme of StoreOne. 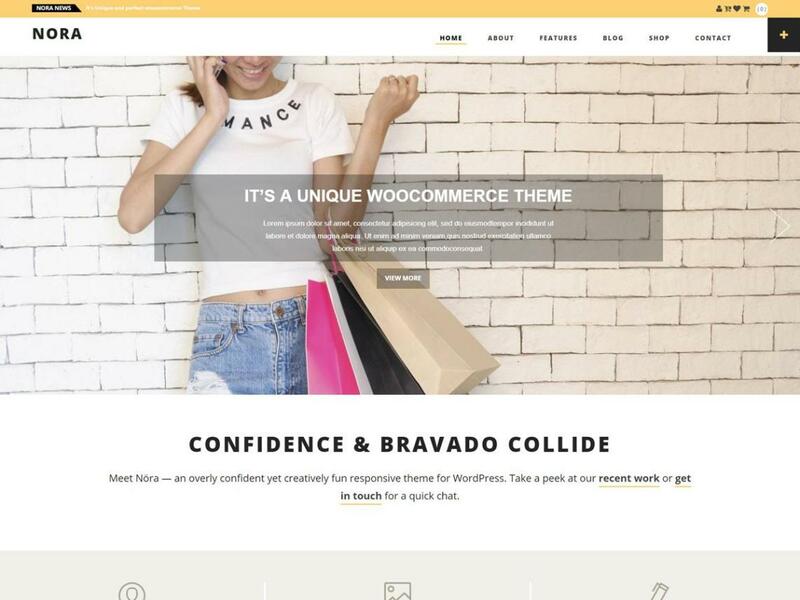 FashionPoint is Powerful multipurpose WooCommerce WordPress Theme. 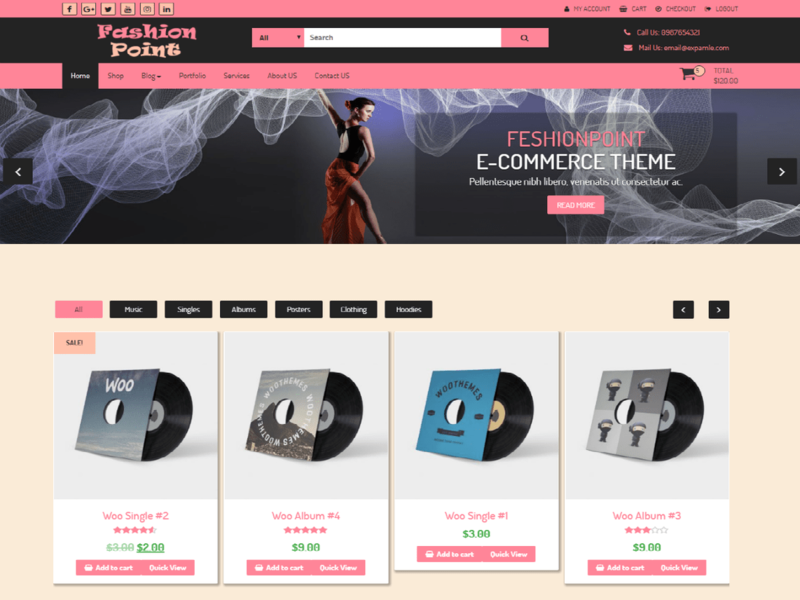 FashionPoint is the perfect free theme for e-commerce shop. FashionPoint is responsive mobile optimized and using bootstrap framework. to show awesome icons on site it’s using FontAwesome icons. FashionPoint is Search Engine Optimized (SEO) friendly. 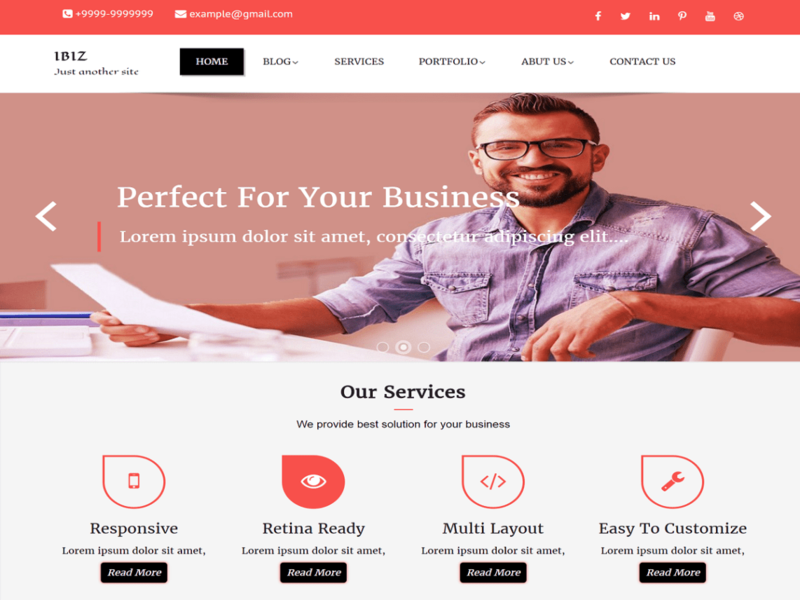 Theme is developed to be used for any business, corporate, companies, or freelancers to create an awesome online presence. FashionPoint is highly recommended for business, informative, agencies, travel, design, art, personal, restaurant, construction, health, digital agency, bloggers, corporate business, freelancers, portfolio, product showcase, and any other creative e-commerce websites. 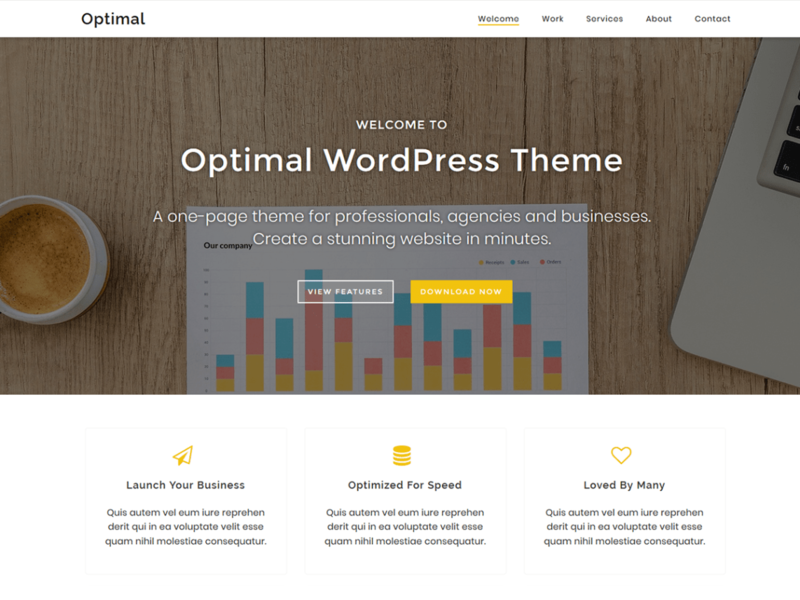 Even with all the Powerful features the theme is optimized for fast performance and security.Theme includes customizable homepage, awesome slider, social links, latest products, latest blog section and other Advance section. 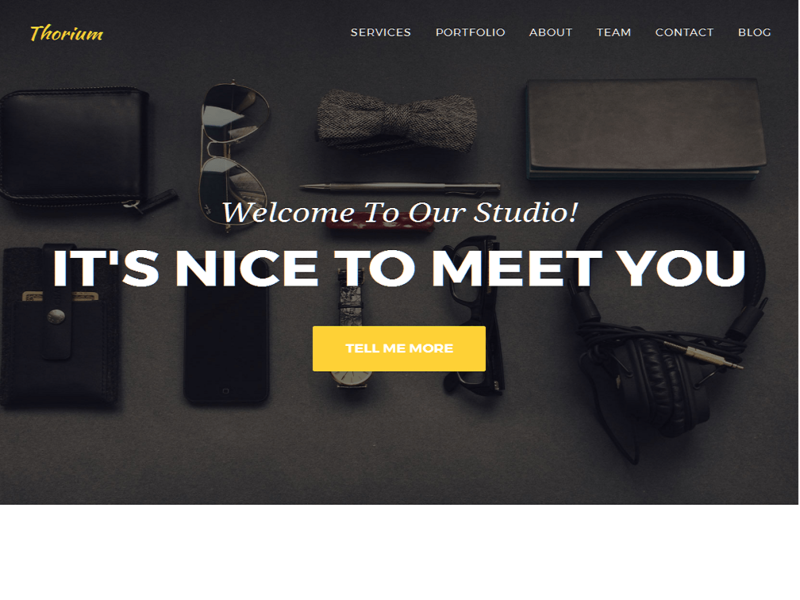 Theme Provide 3 page Template (Home Page , Full Width, Left Sidebar) to select layout. FashionPoint is perfect suitable for clothing, electronics, mobile and almost any type of store website. 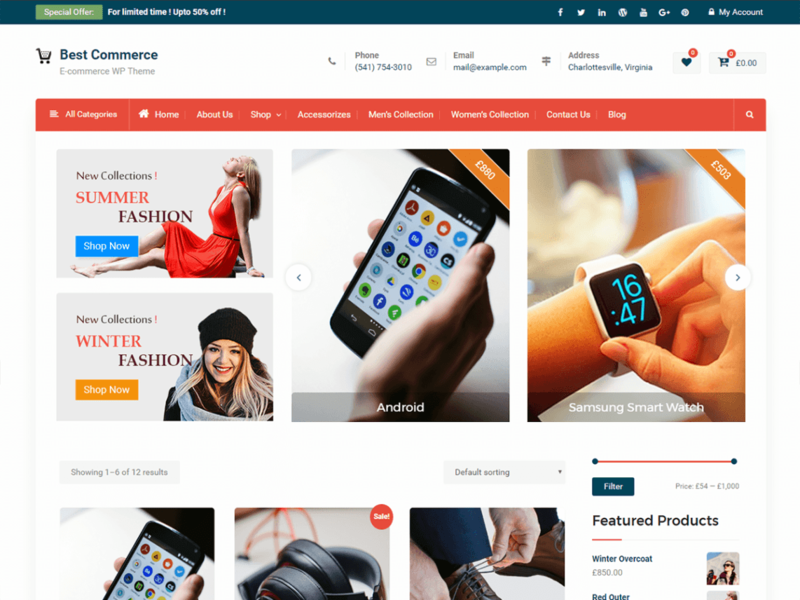 FashionPoint is good for eCommerce solution and compatible with contact form 7, JetPack, WPML. 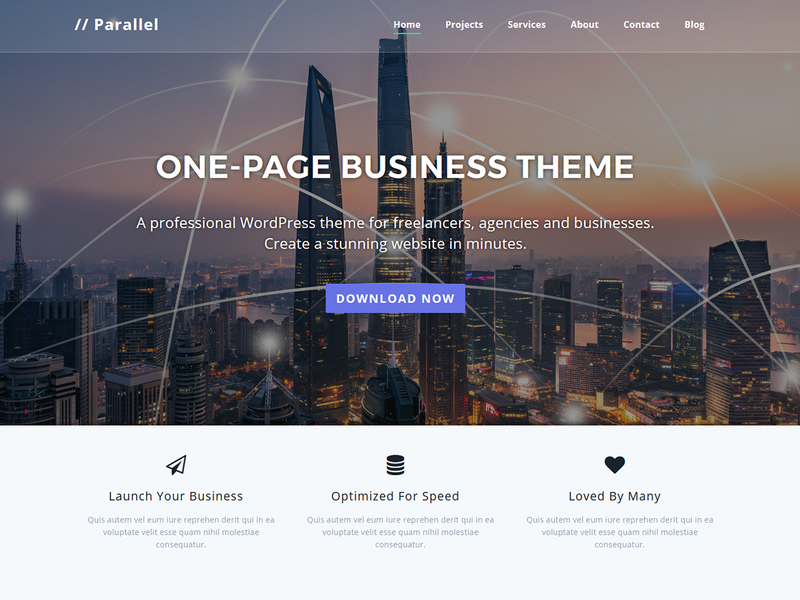 Build an amazing business website with the Optimal One-page WordPress theme. 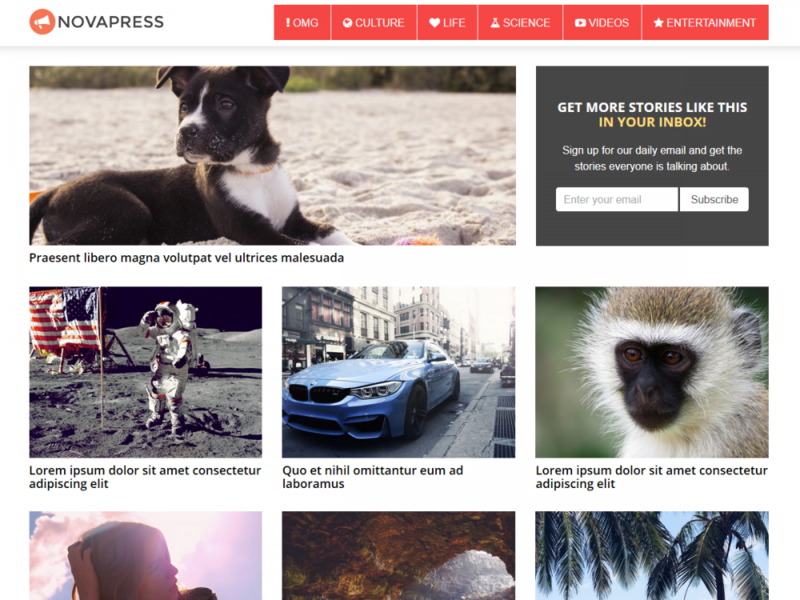 Designed to display all your content on a single page in an elegant manner; it’s extremely easy to setup & customize. Build yourself a stunning website for your professional carreer or small business. 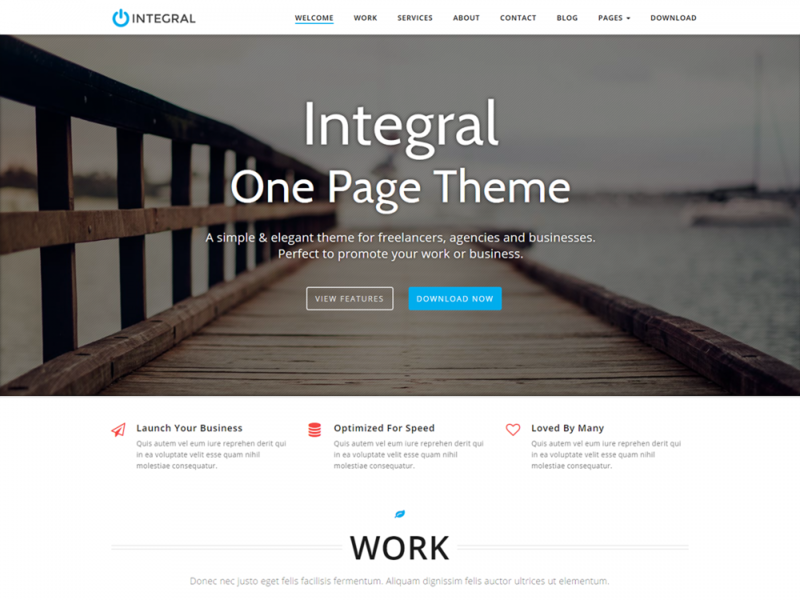 Optimal is a child theme for the Integral WordPress theme developed by Themely. 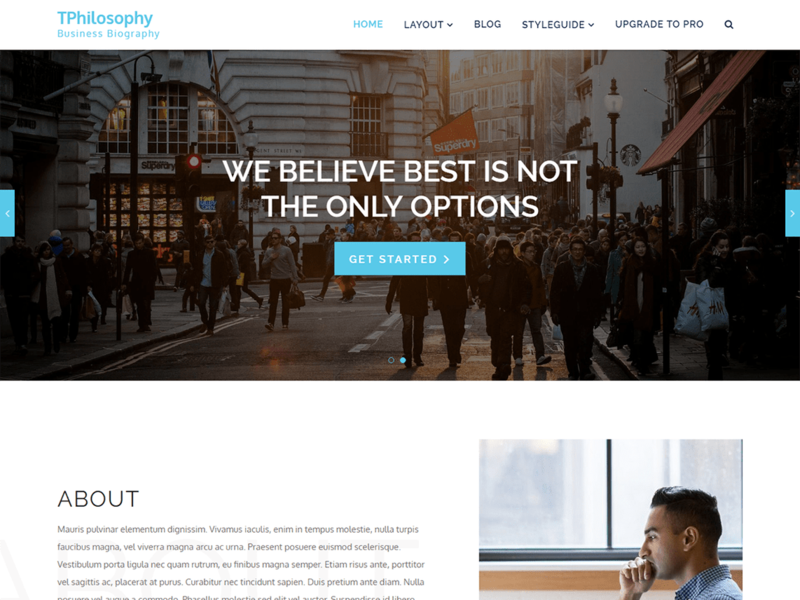 TP Philosophy theme is modern business purpose Responsive WordPress Theme. It is easily customizable theme build by using theme options panel based on powerful customizer API with live preview. It can be used for various types of websites: commercial company, non-profit organizations, personal and portfolio websites. It is flexible enough theme to use it for general purposes also. It provides numerous features like breadcrumbs, full width slider, social links, etc. It is translation ready theme. 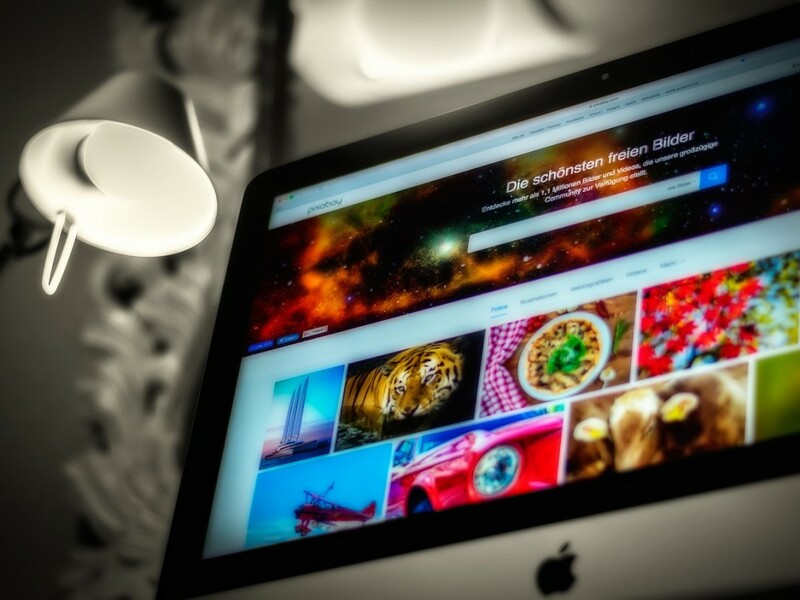 Thorium, one of the best WordPress theme out there. This theme was made for agencies primarily in mind but it still can be great for blogging. 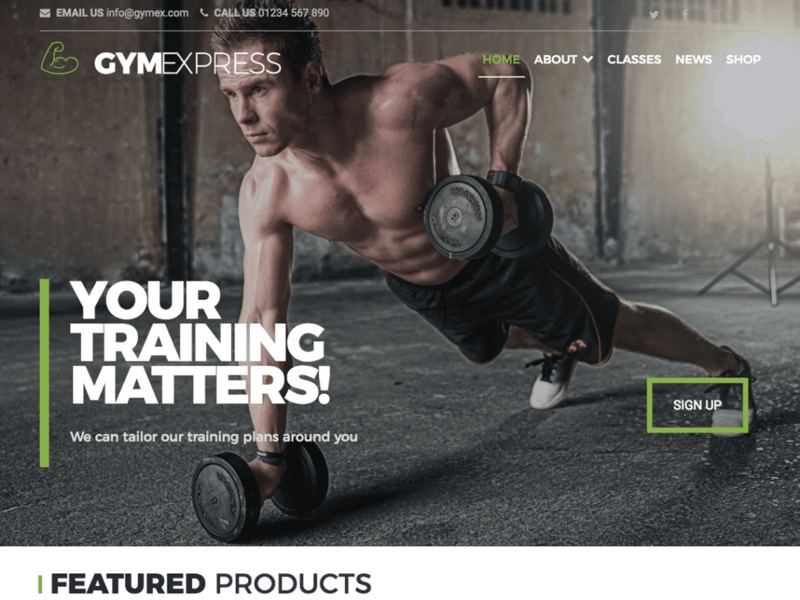 This theme is completely customizable for improved user experience with two-column layout, featured image header and lots more . Thorium is SEO friendly for better search engine benefits for your site. Use thorium and get people see how perfect your company is. 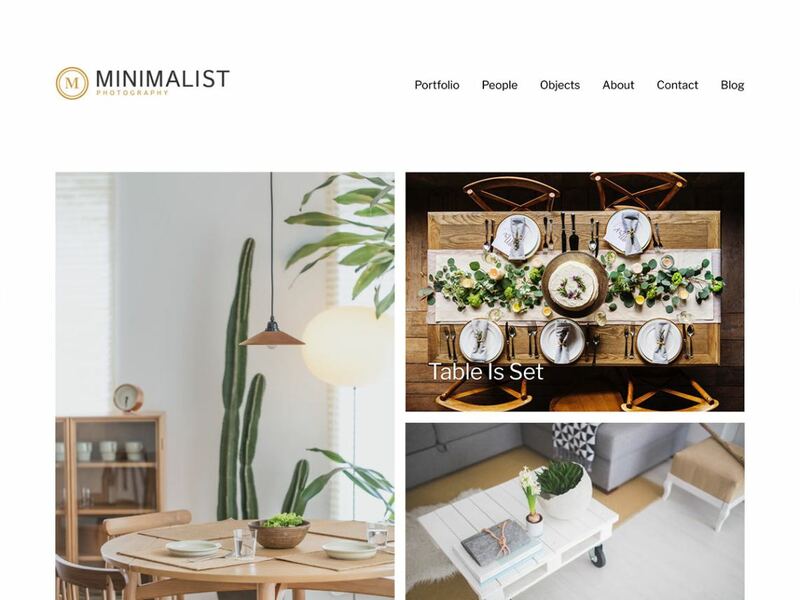 Make a minimalistic portfolio with this Hamilton child theme by adding the power of Easy Photography Portfolio. Simple and Free! iBiz is a Child-Theme of Awada. iBiz is a great design idea for website of Creative Corporate, Corporation, Company Profile, Personal Portfolio, Wedding, Events and more … Create Outstanding Website or Blog in Minutes!. Awesome Design, Unique Concepts, Scalable Responsive, Amazing flexibility.